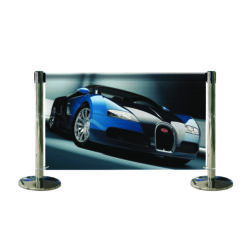 Tensator’s Café Banner is easy to install, dismantle and store. 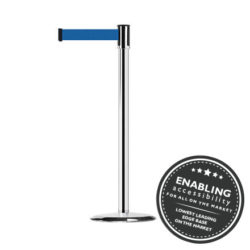 The banner is a flexible and cost-effective way to create space and install a queue management system with minimal disruption. 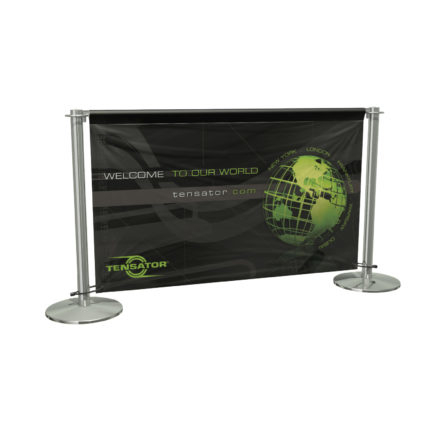 The media space on the Cafe Banner can be tailored to your specific needs, whether it be to provide additional space for branding opportunities, customer centric messages or new product information. 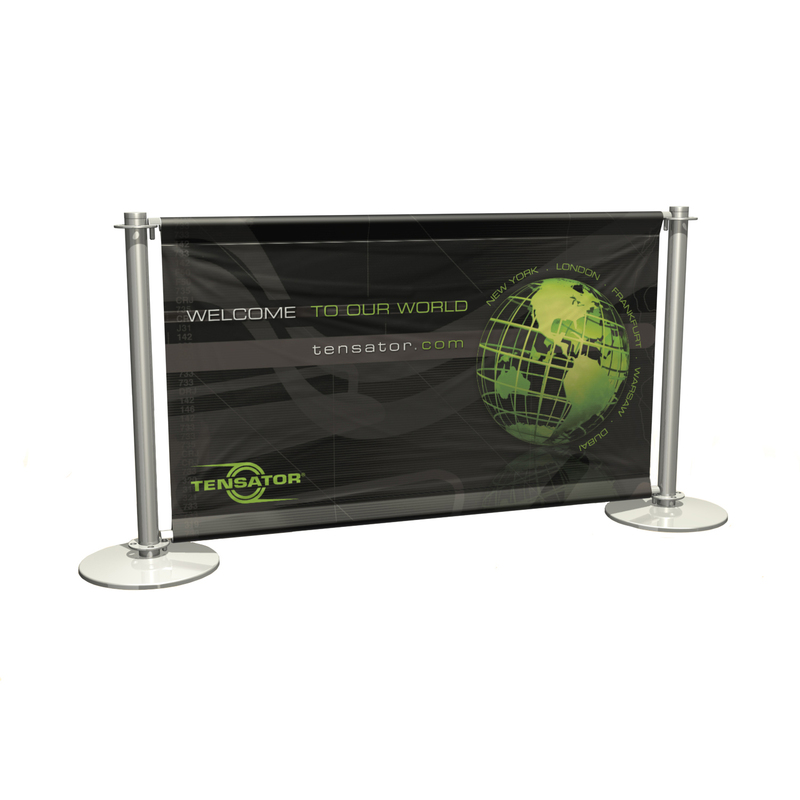 Why choose a Tensator Cafe Banner? 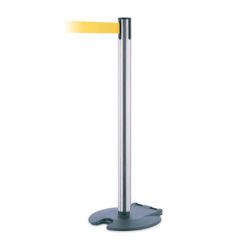 Tensaguide® plus is a modular, multifunctional solution that aids customer guidance and crowd control. 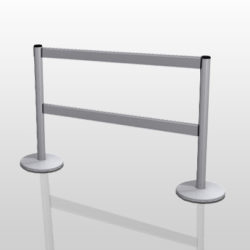 It can be incorporated into a queue or used as a divider to define areas. 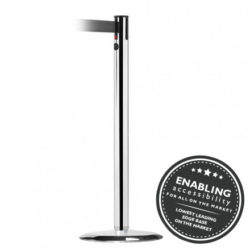 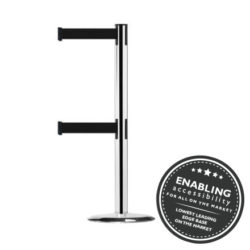 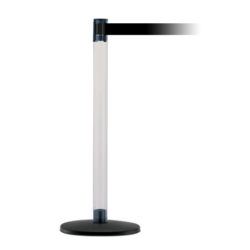 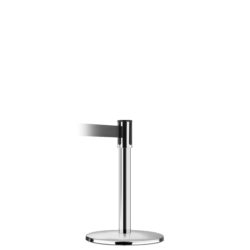 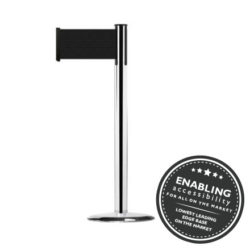 The Tensabarrier® Gallery stanchion keeps crowds at a safe distance at exhibitons withut brlocking their view. 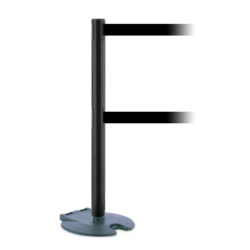 The Tensabarrier® banner can be fixed on selected Tensabarriers to convert any space into an advertising opportunity.